In her latest message to members UCU general secretary Sally Hunt talks about 'the letter' they have received from employers in recent days. Let me start by talking about 'the letter' you have all received from your employer in recent days. You know the one. It starts off telling you how valued you are by the institution and how much your right to strike is respected before explaining why - nonetheless - you must be punished with punitive deductions from your pay for exercising this legal right. This week I have been asked hundreds of times if these deeply unpleasant tactics are legal - sadly they are. But be in no doubt that many universities are choosing to take as hard-line an approach as they can within the law to try to bully you into not joining the strike action. This approach is utterly counterproductive. Every indication is that treating staff with such contempt has hardened rather than weakened the resolve of existing members and led to an influx of people to join the union in the last few days. I want to thank you for standing up to these threats. Given the strength of feeling that now exists among members, there is little doubt that in a few days' time we will see the biggest strike in the history of higher education. I would like to say something to those of you reading this who have not yet made up your mind to take action. I know the magnitude of the decision you are taking. I know too that causing disruption to students is the last thing you want to do. But I also know that in this situation a decision to work while others strike is not a neutral choice. 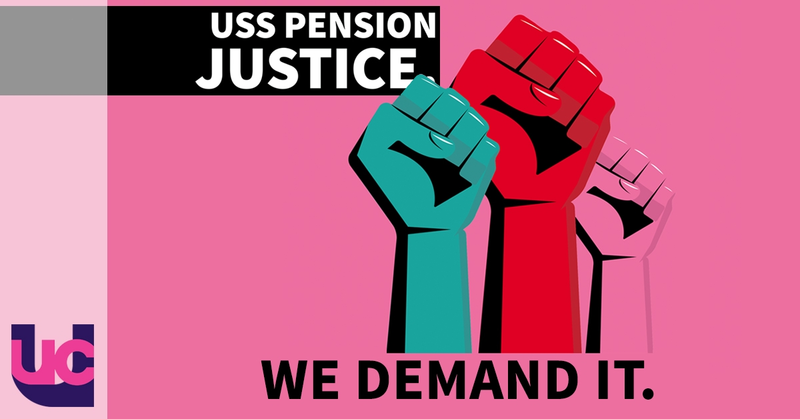 Put simply: working will make it harder for your colleagues who are on strike to win and easier for Universities UK to get away with their pension cuts. At a moment when the profession is coming together I urge you to please be with us too. Finally, some of you may have seen the UK education minister on television yesterday expressing his hope that 'this dispute will be resolved' before there is real damage done to students. I could not agree more but we are running out of time. I have already commended the leaders of institutions like Loughborough, Glasgow, Warwick, Birkbeck, Goldsmiths, Strathclyde, London School of Tropical Hygiene and Medicine and others for publicly calling for a resumption of national talks. Other VCs and principals who have said similar things privately now need to find their public voice before it is too late. For UCU members whoever is leading your institution we need to make this strike as solid as we can everywhere. The reason is simple. These pension cuts if implemented will hit everyone wherever they work and whatever the attitude of their current vice-chancellor. Only a solid strike across the country in every institution will bring the national employers' representatives back to the table.